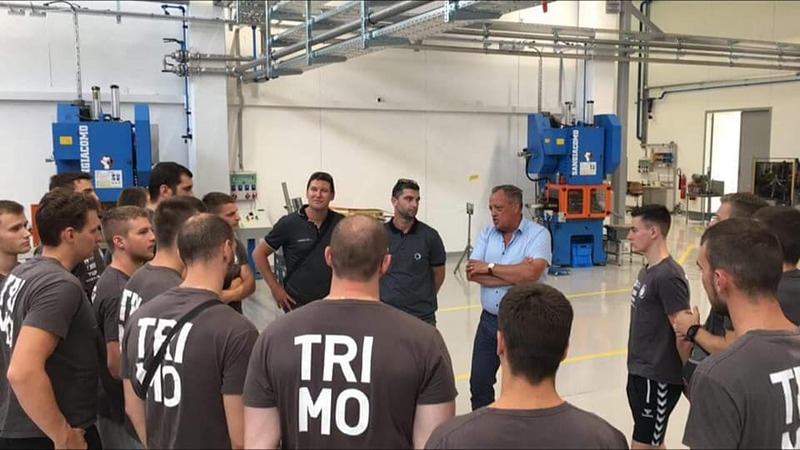 Trimo Trebnje handball club visit - Tem Čatež d. d.
On Friday, we hosted handball players of Trimo Trebnje Handball Club, which we proudly support. Their member is also Marko Kotar, who recently won the European champions title with the Slovenian youth team. We presented them our company with production facilities and at the end showed handball players our donation collection of sport jerseys. We wish them lots of success in the upcoming season.